After the derailment of a passenger train inside the Britomart Tunnel and Station a few weeks ago I asked Auckland Transport for their rail recovery procedures in such and other incidences that can occur on the network. As a disclaimer I use to work for Transdev in their control room and would have been part of the staff responsible for executing the recovery procedures if it happened then. Needless to say with HOP online being able to switch to busses when the rail network is affected makes the initial stages of recovery easier than what it was pre HOP days. We will not know for 12-24 months how the train derailed whether it was a broken rail or the points reverting while the train was still going over them. However, Auckland Transport, Transdev and KiwiRail handled the situation well for a first-of-its-kind accident and being able to partially reopen Britomart as fast as they did. 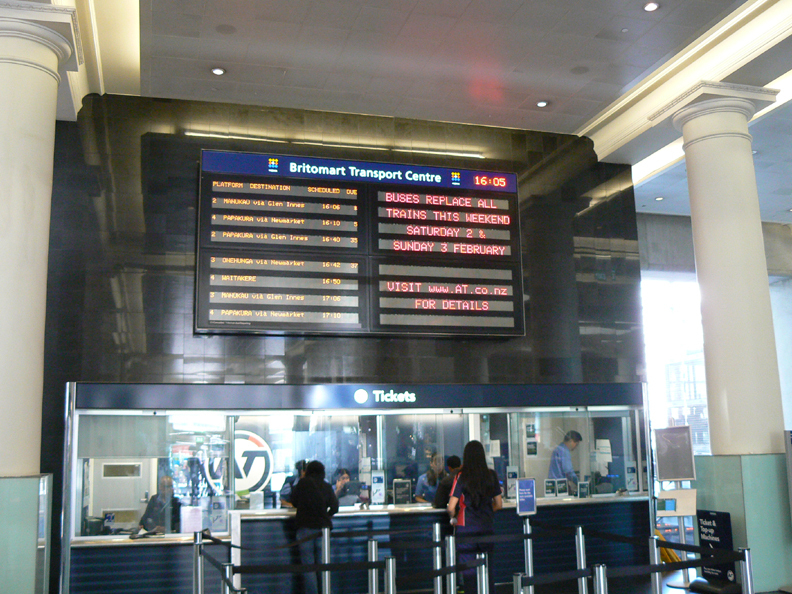 When the City Rail Link opens more resilience will be available in the network as Western Line and possibly some Onehunga Line trains being able to terminate at Aotea Station while Eastern and Southern Lines would have been able to use Britomart, City Centre busses (or even Light Rail) would have handled between Britomart and Aotea traffic. So well done to the agencies involved in the recovery. Simplicity is the key, less is more (in terms of words spoken) (I say that ironically given the neoliberal lineage that phrase comes from) and repeat the message often. Anyhow there are the rail recovery files for your reading.